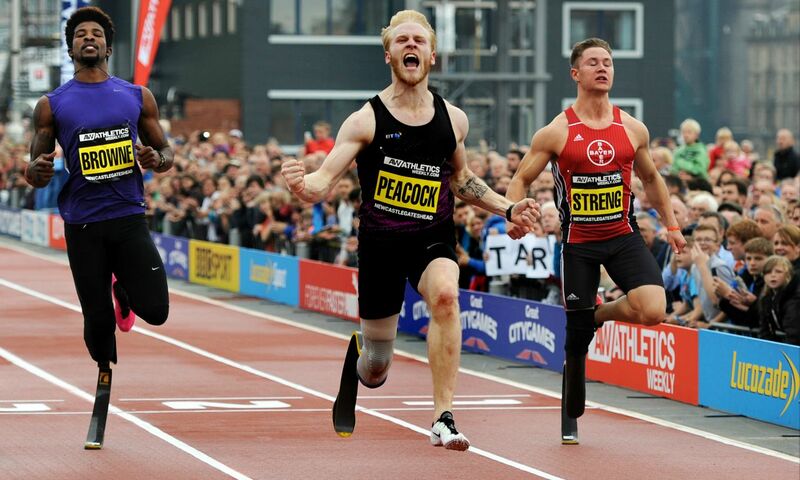 Jonnie Peacock has made light of Richard Browne’s ambitions to run the 100m in 10.1 or 10.2 after the American expressed his desires to break new boundaries in para-sprinting in an interview with the BBC. Browne, who won both the T44 100m (10.61) and 200m (21.27) in world record times at the IPC Athletics World Championships in Doha, has set his sights on challenging for a place at the US Olympic trials next summer after blowing away his competition this year. Peacock, who pulled out of the World Championships due to a sore on his stump which has developed and worsened throughout the summer, feels that it is unlikely any of the amputee runners on the circuit have the capability of achieving such times. The 22-year-old reigning Paralympic and 2013 world 100m champion has instead set his sights on times that he feels are more realistic. Peacock told Athletics Weekly: “Yeah, and why stop there? I really believe he’s going to go out and run 9.4 and beat Usain Bolt. “No, no. I don’t think any amputee is ever going to go under 10 seconds. I don’t even think 10-low is a possibility right now for any of the athletes on the circuit if I’m completely honest with you. “I think, I’ve always said it in every interview, a tough 10.5 is a serious time. If anyone hits that then that’s really good. I’m one who sets myself realistic goals. “I think sub-10.5 is definitely a possibility for a couple of guys on the track right now. 10.1, maybe in four years’ time, but I don’t know.